- Legends, Traditions, and Fun! Grandma Panda is in the New York Times! 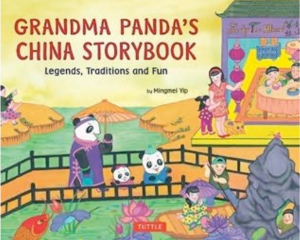 Grandma Panda is a wonderful teacher, a wonderful storyteller—and a wonderful cook! 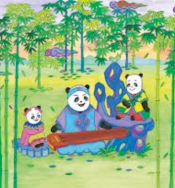 Her grandchildren Baobao and Lingling love staying with her every summer, because at Grandma Panda's house each day is an adventure. This summer, with the help of celebrated novelist and artist Mingmei Yip, Grandma will take them to a world filled with Chinese calligraphy, kites, kung fu and more! Along the way, they'll get to hear Grandma's stories of a time long ago in China, when everything began. Bright watercolor illustrations make favorite legends—like the tale of Mulan, the woman warrior, and of Luban, the inventor of the kite come alive. 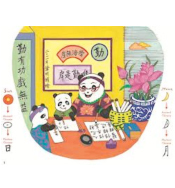 Come join Grandma Panda, Baobao and Lingling for a summer of fun and learning! 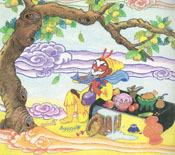 In this book, the playful Monkey King turns heaven upside down, the Moon Goddess takes immortality pills and flies to live in the moon, and a frog who lives in a small well thinks his well is the whole world. Other unforgettable stories include the undying love of the Cow Herd and Spinning Girl, the wisdom and compassion of the Fish Basket Goddess, and the courage of the good ghost. 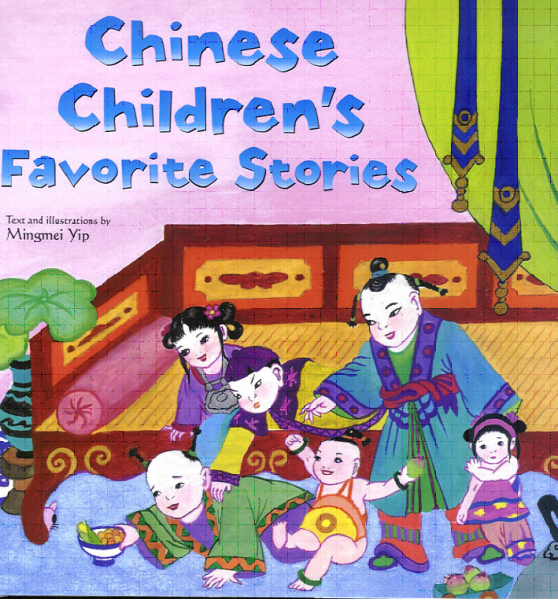 In this book, altogether 13 traditional Chinese stories are re-told by Mingmei Yip, accompanied by her 64 full-color illustrations. 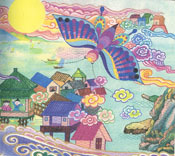 Chinese Children’s Favorite Stories has become a ...bestseller with 30,000 copies sold. Click here to read one of the stories. 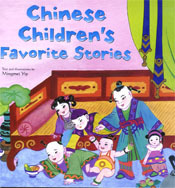 This volume of beloved Chinese stories contains a delightful selection from the rich store of Chinese folklore and legend. Discover the many delightful animal characters as well as Chang-E, the famous Eight Immortals, and Guan Yin, goddess of compassion. 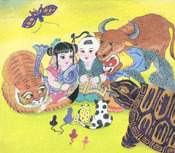 Retold for an international audience, the beautifully illustrated stories will give children aged six to ten a glimpse into both the tradition and culture of China. Mingmei Yip is an excellent writer--very engaging. 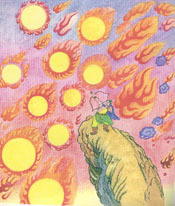 And her illustrations are very colorful and eye-catching as well. I was looking for books to introduce Chinese culture to my young nieces, nephews, and cousins, and I can definitely recommend this one. I couldn't put it down myself, late one night! I had checked out a slew of books from the library, but only some met my criteria of excellent writing and good pictures. Some had one or the other: this one had BOTH. I don't give anything I wouldn't want myself...I sure wish I had this when I was growing up! Adults can enjoy this, too.